A 17-year-old tortoise was stolen from Alley Pond Environmental Center in Queens, and it's clear the thieves went to great lengths to take off the 95-pound reptile called Millennium. Roseanne Colletti reports. 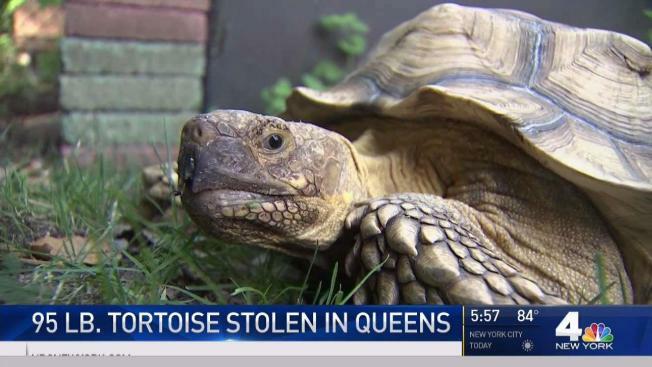 Police are searching for the person who stole a 17-year-old tortoise from a Queens environmental center. 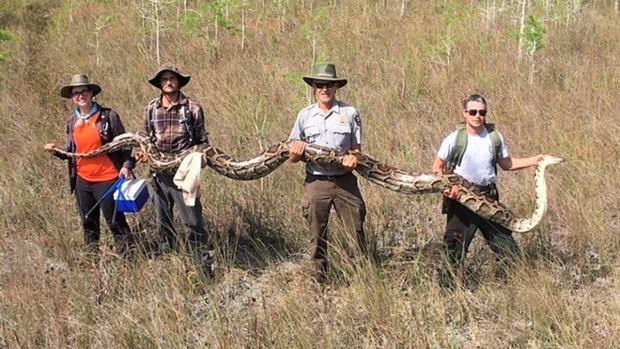 Cops were called to the Alley Pond Environmental Center on Monday after staffers discovered the reptile was gone and its enclosure had been broken. Police confirmed there was a forced entry. Investigators are searching for surveillance video footage. The species of the stolen tortoise wasn't immediately clear, but they can weigh anywhere from nearly 100 pounds to 500 pounds, depending. Alley Pond is a nonprofit educational organization that advocates for sustainable environmental policies and practices. Editor's note: The Associated Press reported in an earlier version of this story that the tortoise was 100 years old. But the environmental center tells NBC 4 New York it is 17.